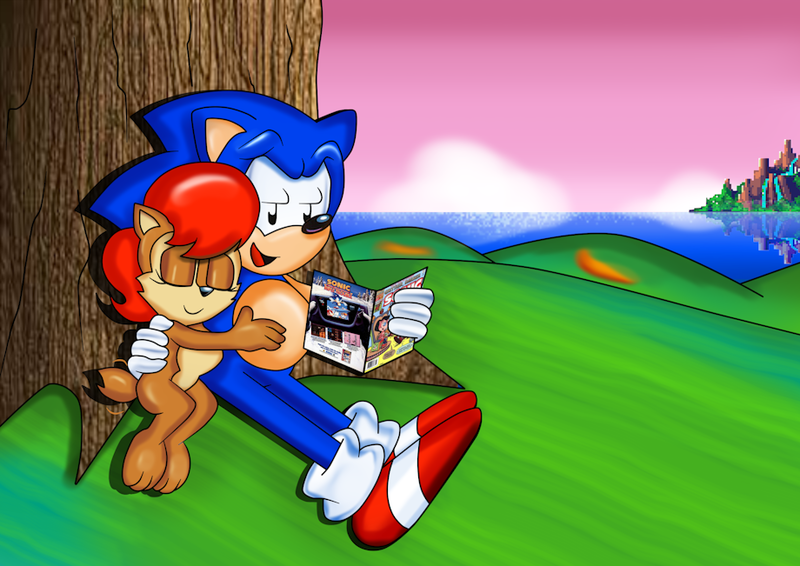 Sonic: After that, they kick some Robuttnik and lived happily ever after, the end... hmmm... next issue comes out next week, guess we can read it then huh Sal? Sonic: Sal?... *blushes* I guess it has been a long day, I know it's gonna be hard for you Sal, but we will change you and others back, I won't rest intill we gotten the 7 chaos emeralds. hopefully then everything will go back to the way it was, intill then we better get some rest Sal. That's real nice. X3 Also, what does he mean by his statement with the chaos emeralds and changing everything back? .w. which is why she's much smaller here, about Tails size, on Westside Island (Sonic 2) Sonic is trying to the 7 other chaos emeralds hopping this will fix it. will be uploading the comic soon. .w. Your comics or what?